Just in case some of you are wondering, YAM will have a series called Just Looking starting 6th September (and no, it will not comprise of an escape room adventure every week, I'll get a heart attack). "You'll explore the extraordinary life of Jesus Christ as you read about his birth, teaching, miracles, trial, death and resurrection. And along the way, you'll be able to think through for yourself some of the questions you have about the Christian faith". The idea is to get a friend who's curious about Christianity and to find out for his or herself who Jesus is. 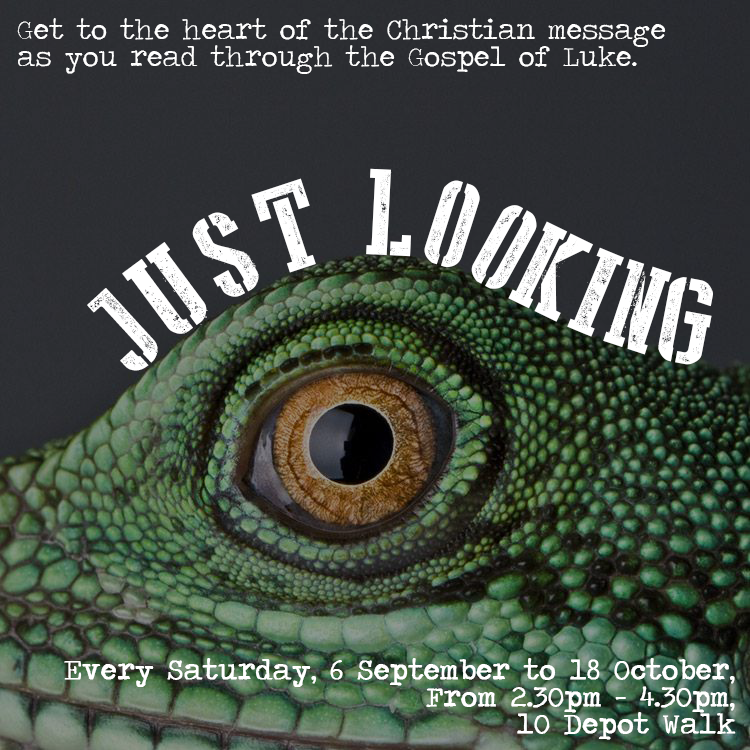 Or, you could take a look for yourself and discover Jesus all over again. There will be refreshment provided over the duration of the discussion, so if you're scared of being asked questions you can always pretend to be eating something and people will be none the wiser. We hope this will provide an amiable approach towards those coming for the first time.